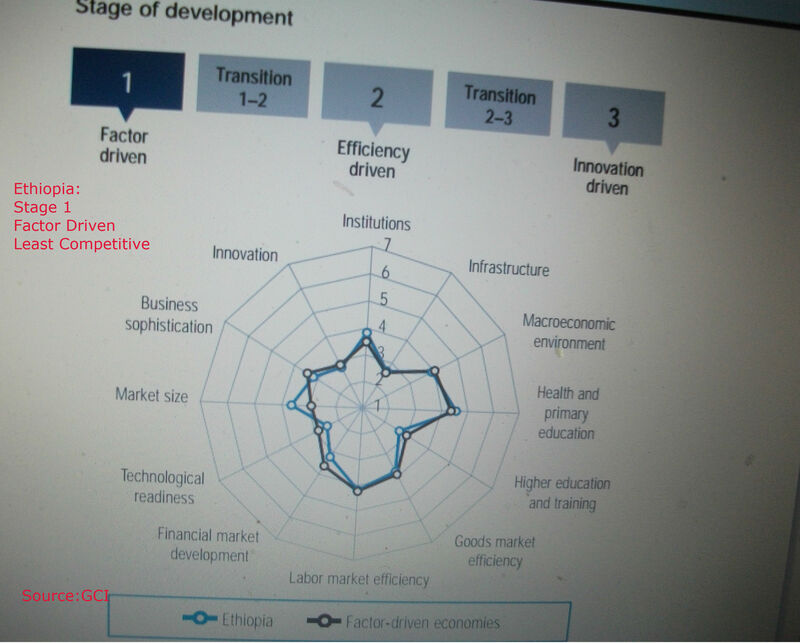 Posted by OromianEconomist in Africa Rising, African Poor, Corruption in Africa, Ethiopia the least competitive in the Global Competitiveness Index, Ethiopia's Colonizing Structure and the Development Problems of People of Oromia, Free development vs authoritarian model. By and large, Ethiopia recorded 17 years of economic stagnation under the leadership of the Dergue, a military government. For example, in 1990/91, the growth rate of the Ethiopian gross domestic product (GDP) was negative 3.2pc, whereas cyclical unemployment was about 12pc, the rate of inflation was about 21pc, and the country’s budget was at a deficit of 29pc of GDP. For the last five years, Ethiopia has gathered momentum by recording steady economic growth. Along with this growth, however, the country has seen an accelerated, double-digit increase in the price of goods and services. The very common way that the EPRDF and its agents try to shift the public attention from lack of human and democratic rights and the daylight looting of the country’s resources, is by referring to the ‘impressive’ economic development registered in their rule. If they are talking about the only region that they are exclusively devoted to developing, then, they are absolutely right. The reality in other regions of the country, however, speaks quite the opposite. Even if we believe the double digit economic growth that the EPRDF claims to have registered in the last five years, it all will be dwarfed by the sky high rate of inflation, the second highest in Africa – the first being Zimbabwe which is actually experiencing a currency collapse. Thus, inflation has remained a scourge of the Ethiopian economy. Stated in simple words, Ethiopia, at this juncture, is faced with an overheating economy. With the global soaring prices of oil, wheat, corn, and minerals, this condition cannot be regarded as unique to the Ethiopian situation. What makes the Ethiopian case a special one is that Ethiopia is a low-income country. The increase in the Consumer Price Index (the main gauge of inflation), has become very detrimental to the low-income groups and retirees who live with fixed incomes. The risk of inflationary pressure is reducing the purchasing power of the Ethiopian Birr. Because of inflation, an item which used to cost one Birr a year ago now costs one birr and 40 cents. This shows that the value of one Birr is approximately 72 cents. As it stands, financial liberalisation is not an option. Financial intermediaries may accelerate inflation if the National Bank of Ethiopia (NBE) relaxes its financial and monetary policies that regulate them to maintain the statutory liquidity requirement of demand and time deposits. In addition, an increase in money supply could accelerate inflation if the central bank substantially reduces the discount rate or buys existing government bonds from investors. The discount rate is the interest rate charged by the NBE when member banks borrow from it. Ethiopian banks overuse their reserve facilities to boost their credit portfolio. The excess reserve in Ethiopia was due to more savings. The demand for bank credit rose sharply to finance large scale investment projects by the public enterprises and the rapidly expanding private sector. Substantial negative real interest rates and commercial banks’ excess reserves facilitated the rapid expansion of credit. The link between money supply and other determinants of growth is not an automatic process. However, if we abide by the principles of the transmission mechanism, we might argue that the increase in money supply in Ethiopia might have contributed to an increase in investment. However, the problem of inflation in the Ethiopian economic environment cannot be tackled without addressing the large budget deficit. More signs are appearing to suggest that what the EPRDF says regarding the economic development is incredible. For instance, recently, the Ministry of Finance & Development (MoFED) blamed the Central Statistics Agency (CSA) for its inefficiency in providing accurate data. This accusation is long overdue. An agency which cannot determine the size of population can never be trusted to give us the accurate measure of a relatively complicated matter – growth. At the time when the price of everything was doubling and tripling within a year, the inflation rate instead of being 200pc or 300pc or even more, the same statistics agency reported a much lower inflation rate. This rate is the basic component in calculating the economic development. In order to determine the change in growth, the value of domestic production has to be discounted at the current rate of inflation. If the rate of inflation assumed in discounting is far less than the actual rate, a country will, wrongly, be considered to have registered a higher rate than the actual. This is how, against World Bank and IMF predictions and the economic reality of the world, which is slowly hitting the third world, the authorities are telling us the country will register double digit growth again. While the majority of the population is getting poorer and poorer every year, a minority of the population, especially those loyal to the ruling party, are becoming millionaires overnight. The exaggerated economic development rhetoric of EPRDF is unsubstantiated for it is not based on facts and is against what is happening on the ground. It is simply a means to cover up the unspeakable atrocities they are inflicting up on the people. The inflation that we, ordinary people, are suffering from is mainly their own making. EPRDF companies and their affiliates, of course, have hugely benefitted from the manipulation and exploitation of the very thing that made our life worse and worse, inflation. So this talk of double digit economic development is simply a joke and a bluff. If Ethiopia is to achieve long-term sustainable growth, its developmental process has to be rooted in the Ethiopian system of thought and its people-centered approach, rather than depending on the Western capitalist or Chinese models of industrialisation by invitation to gain various forms of external assistance. 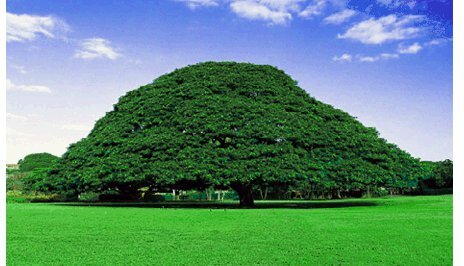 Since agriculture is the backbone of the Ethiopian economy, its sustainable development model must be one of self-sufficiency to feed its own people instead of producing environmentally insensitive horticultural products to amass foreign currency.